This entry was posted on July 13, 2012 by Dan Proud. It was filed under Reptiles and Amphibians and was tagged with Amphibians, animals, Costa Rica, Frogs, nature, Photography, Rainforest, Tropics. These images are un-frogettable! Sorry, I couldn’t resist. The vivid colors are incredible. Is everything brighter in Central America? I suppose you could say that! In the tropics, in particular, many animals exhibit bright coloration as warning signs, a defense mechanism called aposematism. Many frogs, snakes and insects are especially known for this. 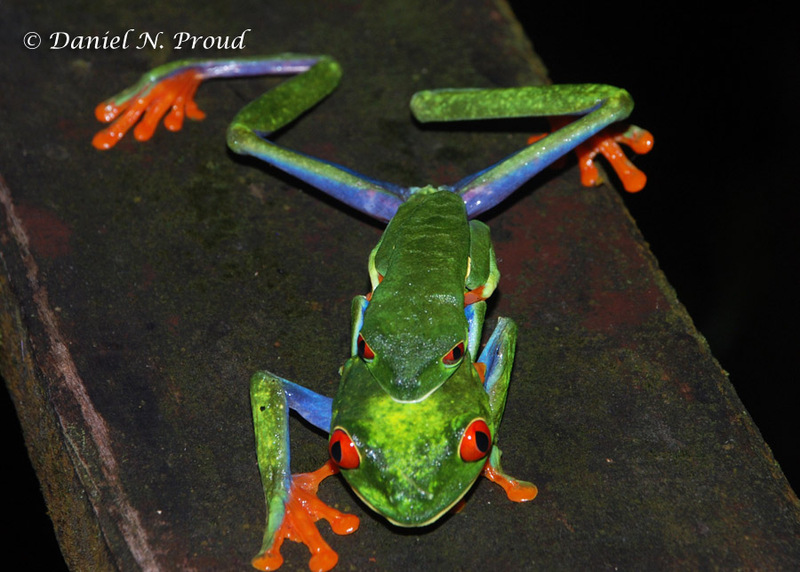 From what I understand, the toxins in the skin of the red-eyed tree frogs are not actually that potent, but this warning coloration might trick a predator into thinking otherwise. 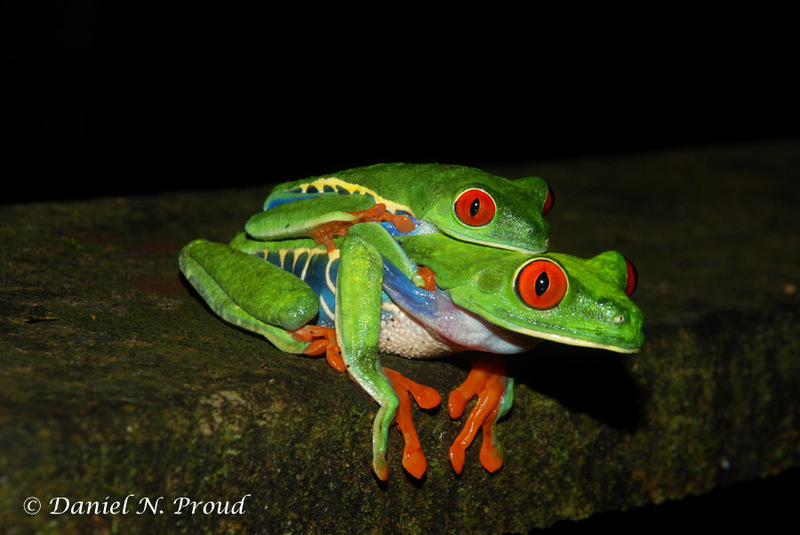 But yes, the colors of these frogs are just incredible! Such great animals! 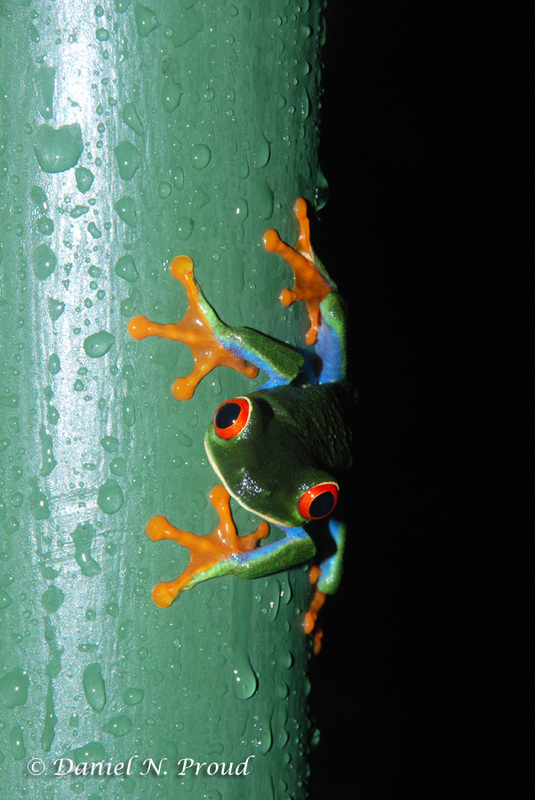 Great photos, love these bright coloured froggies. Thanks! I appreciate the feedback. They are wonderful animals indeed!